Warner Bros. needs a new director for the live-action Akira movie. The ups and downs, which seem to be mostly downs, of Warner Bros.' live-action movie adaptation of the Akira anime and manga continue. The project has now lost its director, prompting Warner to search for a new one. Deadline reports that Albert Hughes, tapped to direct in early 2010, has departed ways due to "amicable creative differences" with Warner. Warner hopes to put Hughes on another project as soon as possible while it begins the hunt for a new director that can handle the big-budget Akira. 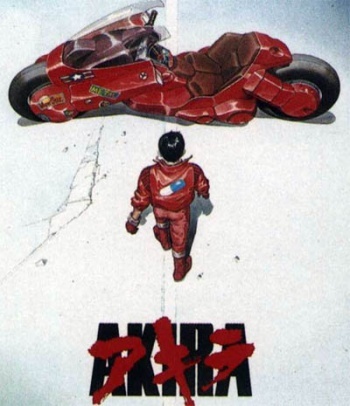 Warner still has Akira on the fast track, though recently seemed to have hit a setback when negotiations to attach Keanu Reeves as the film's star fell apart. The studio may fall back on a previous list of desired actors, which includes Joaquin Phoenix and Robert Pattinson, it made before deciding to go for a bigger star like Reeves. I know that Warner's efforts to create a live-action version of Akira have been universally criticized by just about everyone on the planet, but I'm personally intrigued to see what the studio eventually comes up with. If these setbacks ever end, that is.